Bengaluru-headquartered self-drive car rental startup Zoomcar has turned EBITDA positive, the company claimed in a recent statement. The financial milestone, which was achieved in December 2017, came on the back of Zoomcar’s 40% growth in its revenue in 2017. From shifting to a marketplace model to keeping marketing costs low by relying on organic growth, we at Inc42 wanted to explore some of the pivotal factors that helped Zoomcar become EBITDA profitable. Zoomcar, for the uninitiated, is a self-drive car rental service that allows users to rent cars by the hour, day, week or month. It offers a membership-based service that enables individuals to rent vehicles on an hourly or daily basis. The company claims to have facilitated up to 1.1 Mn trips in 27 cities, with an average ticket size ranging between $62.8-$78.6 (INR 4,000-INR 5,000) till date. Currently, it has a fleet of over 3,000 vehicles that collectively cater to more than 2 Mn registered users across the country. Of these, as claimed by Greg, around 60% are repeat users. At present, Zoomcar offers more than 20 models – including hatchbacks, sedans, SUVs and luxury cars. Metros and non-metros contribute 80% and 20% to the entire business respectively. The company boasts a workforce of over 200 employees. With this, the company is now looking to enter newer markets in Southeast Asia and Africa in 2018. The startup also plans to increase its fleet size and revenue by 4x. “We are quite bullish on that over the long term. Having said that, right now, there is an immense opportunity in these emerging markets. Countries like Indonesia, Nigeria and Vietnam are huge, population wise and in terms of economic development. We actually haven’t even penetrated 5% of what we think we can,” he added. So, What Helped Zoomcar To Become EBITDA Positive? As claimed by Moran, the self-drive car rental platform has witnessed a significant growth in terms of new users over the last several months. Additionally, there has been a proliferation of new products that has, in turn, improved user experience substantially. The latest development comes almost 20 months after Zoomcar pivoted to a marketplace model in June 2016, which, according to Moran, has indeed helped the company to reduce operational costs and further increase its revenues. Unlike ecommerce and other mobility startups, whose marketing costs constitute a major percentage of their spendings, Zoomcar claims to have largely relied on organic growth to keep its marketing cost under 10% of its total revenue. “We also work very closely with different affiliate partners who help us to bring more awareness. This, in turn, allows us to keep our marketing costs pretty low,” he added. In a bid to expand its reach beyond the self-drive car sharing segment, three months back, Zoomcar launched its dockless bicycle-sharing service, called PEDL. At present, PEDL has a fleet of over 3,000 cycles in eight cities and has completed more than 400K trips till so far. The aim, according to Grey, is to reach 500K monthly transactions across 50+ cities over the course of the year. In 2017, Zoomcar also launched ZAP, a peer-to-peer (P2P) marketplace for car sharing. Through the platform, individuals can purchase one or more vehicles as well as lease the vehicles to Zoomcar and earn money. This asset-light platform, according to Moran, currently contributes to over 25% of Zoomcar’s inventory with around 800 cars. The self-drive car rental company is also exploring the electric vehicles space. In November 2017, the startup entered into a partnership with Mahindra Electric to accelerate electric vehicle adoption by launching e2oPlus vehicles on the Zoomcar platform in Hyderabad and Mysuru. Aimed at promoting sustainable and eco-friendly modes of transport in these cities, the initiative will make these electric vehicles available to residents and visitors looking to rent a car. The duo also intends to eventually extend the initiative to other cities in the country, including Hyderabad, Delhi and Chandigarh. According to the terms of the deal, Mahindra Electric will also be providing fast-charging services to Zoomcar to ensure seamless customer experience. The two charging units procured by the self-drive car company are currently located at Country Inn and Garuda Mall in Mysuru. As stated by the company’s CEO, Zoomcar has already received 20 e2oPlus cars from Mahindra and is in the process of onboarding an additional 400 electric vehicles. Overall, by the end of this quarter, the startup is looking to add around 500 electric cars to its fleet. “Over time, electric mobility will be absolutely dominant because you are able to have very low running costs and also able to subsidise the capital costs through shared mobility, where no one has to own that asset. Our expectation is that we will be rolling out electric vehicle options in all of the cities that we already have a presence in by the first half of this year.” To that end, Zoomcar plans to scale its EV presence in 2018 by teaming up with multiple OEM partners. 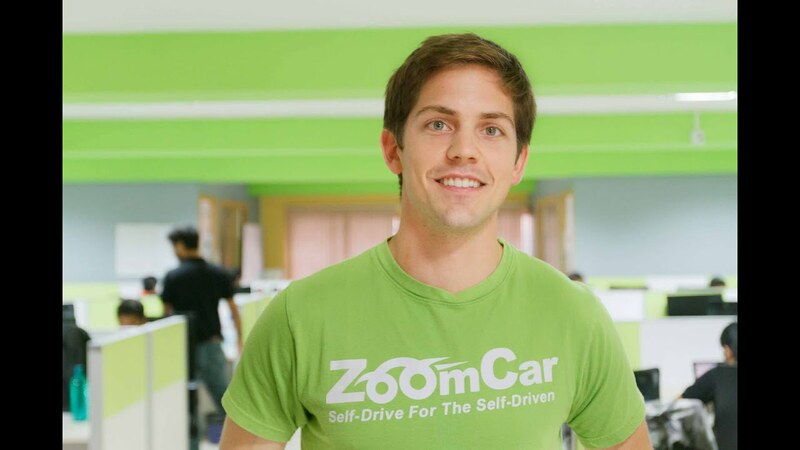 Zoomcar was founded in March 2013 by Greg Moran and David Back. David Back, however, left the company in May 2015, after it raised an undisclosed amount of funding led by new and existing investors. Since commencing operations, the startup has raised funding in multiple rounds. In October 2014, Zoomcar raised $ 8 Mn in a funding round from Sequoia Capital and a consortium of angel investors. Later in July 2015, Nokia Growth Partners and existing investors Sequoia Capital and Empire Angels pumped $11 Mn into the self-drive car venture. A year later, in July 2016, the platform raised another $25 Mn in Series B funding led by Ford Motor Company, Reliance Ventures and existing investors. 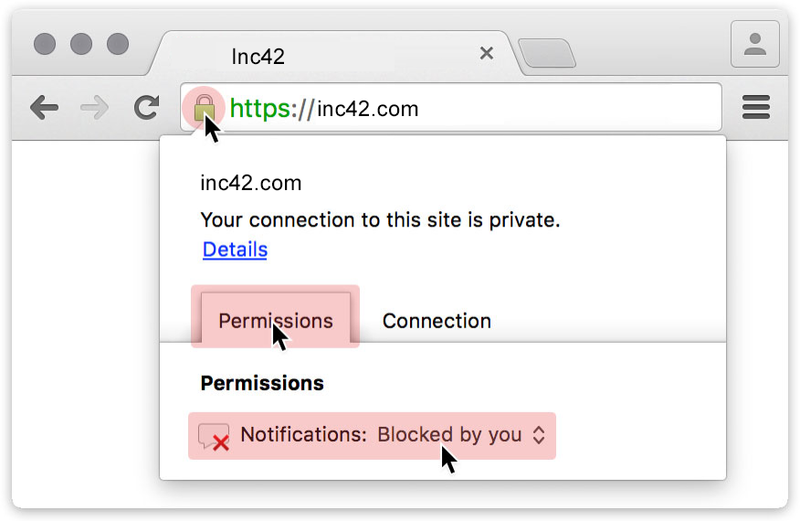 Most recently in December last year, it picked up an undisclosed amount of funding from China-based Cyber Carrier CL. Despite being the third largest startup ecosystem in the world, India is still lagging behind countries like the US and China in terms of the number of startups that have become sustainable. In the startup scene, reaching the EBITDA breakeven point is, perhaps, the strongest indication of a business that can sustain itself without having to rely on investor money. In recent times, several Indian tech startups have crossed this benchmark, thanks in part to increase engagement of online customers. On the one hand, there is data analytics firm Mu Sigma, which became the first Indian unicorn to turn profitable in 2016. The company has been making profits for three years in a row. Following closely behind was another Indian unicorn, InMobi, which hit profitability in the fourth quarter of the same year. On the other end of the spectrum are smaller startups like Myntra, Voonik and Inshorts that claimed to have become EBITDA positive over the last one year. In August 2017, it was reported that the private label business of Flipkart-owned Myntra – Roadster, HRX, Mast & Harbour, Dressberry, and Ether- had turned EBITDA profitable. At the time, sources had revealed that the company was gearing up to achieve overall profitability in the first quarter of 2018. As per its regulatory filings, the fashion portal posted a turnover of $314.6Mn (INR 2000 Cr) in the fiscal year 2016-17. In the same space, Voonik is another startup that claimed recently to have attained EBITDA profitability. Earlier this month, the company’s founder and CEO Sujayath Ali declared on social media that the firm had become EBITDA positive at the monthly level and hence would no longer “burn” i.e. spend money to become sustainable. As per Ali, in FY 2017, Voonik earned revenues of $18.39 Mn (INR 117 Cr), up from $2.4 Mn (INR 16 Cr) in the previous financial year. These figures, however, could not be independently verified as the fashion firm is yet to file its documents with the Registrar of Companies. Similarly, content discovery platform Inshorts also announced recently it has “taken up the profitable road”. As claimed by co-founder and CEO Azhar Iqubal, the Tiger Global-backed startup has been generating enough revenue from advertisements to become operationally profitable. It is currently aiming to touch $15.7 Mn (INR 100 Cr) in FY18 in revenue through branded partnerships and sponsored content. According to a report by Ken Research, the Indian car rental market is projected to touch $12.5 Bn by 2019, growing at a CAGR of 35%. In this space, Zoomcar competes with players like New Delhi-based Myles, Eco Rent A Car, global firm Avis and Let Me Drive, among others. While most startups, crouched under the burden of investor money, are currently struggling for survival, Zoomcar has managed to become EBITDA positive through a holistic, self-sustaining approach. By expanding its product portfolio across multiple verticals like bicycle sharing and electric vehicles, the self-drive car rental company has been quietly expanding its reach, while also accelerating its revenue growth. In the Indian consumer Internet space, however, nothing is set in stone, as can be seen in the case of beleaguered ecommerce player Snapdeal. To maintain its upward growth trajectory, Zoomcar will, therefore, have to tread cautiously and judiciously amidst increasing competition.